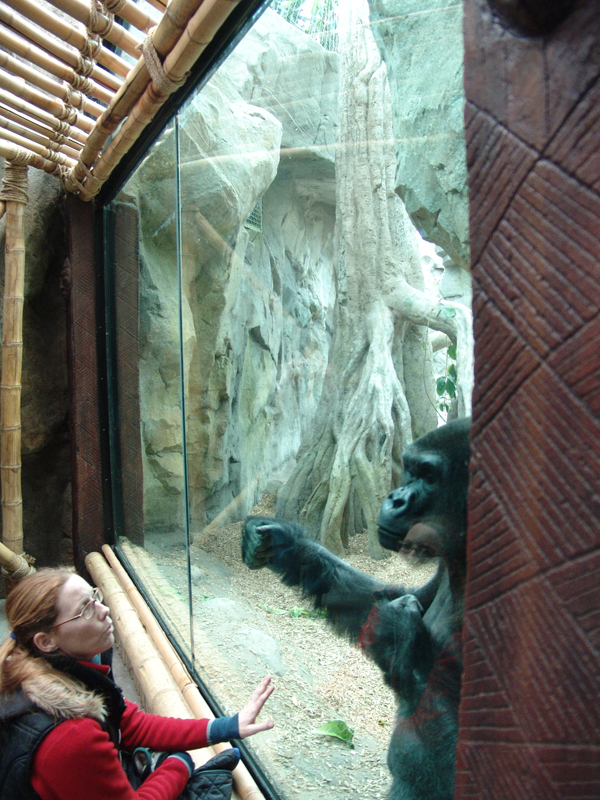 As part of a $2.3 million renovation project for the interior gorilla habitats at the Franklin Park Zoo, Coyle & Caron designed and fabricated all of the 'sculpted environments' including several types of artificial trees, and the rockwork and character facade at the view windows. Intense logistics and a very tight schedule were the challenges in producing a special result that the gorillas enjoy. Ursa International led the overall design which resulted in bringing the gorillas in closer contact with visitors.